Yes, I did vote today. As the voting machine gobbled my paper ballot, I said a prayer to the Election Gods that my vote would be honestly counted, that millions of others would be as well, and that all our votes would be tallied and reported as we cast them. Then I went home and washed my hands. That's when it happened. The thought occurred to me that there must be more of a reason for the Republican Party’s decades-long fear of a viable, universal healthcare program. Why do they fear a universal, single-payer program? Then it hit me. 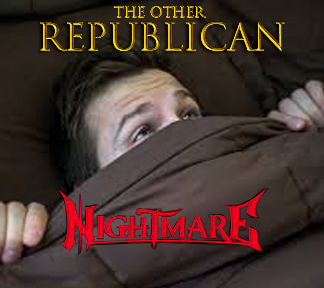 Is there a connection with other Republican Party nightmares – such as universal voter registration? Historically, the Republican Party has worked tirelessly to exterminate Medicare, Social Security and voting rights for everyone save select white males. I'll bet a few marbles that they must hide under their covers, with all the lights on, when they think about universal voter registration. Yep! That's it! Here's the Real Reason Why Republicans Fear 'Medicare for All', Thom Hartmann, Truthdig.com, 5 Nov 2018. "Now we know why the GOP is truly terrified of “Medicare for all”: It will wipe out the Republican Party’s control of the House, Senate, White House, and most state governments. Because it could make it very easy for every citizen over 18 to vote." "In Canada, every citizen has a Canadian government-issued “Health Insurance Card” (you can see Quebec’s card at the link). It’s largely only available to citizens, as all citizens are eligible for the Canadian Medicare system; everybody else has to work out other insurance options (yes, there are insurance companies in Canada). And in most provinces, the card has your photo and works as an ID card as well as a driver’s license or passport." "And the Canadian government also explicitly says right here on Quebec’s elections website that your Medicare card is also your first-choice voter ID card. 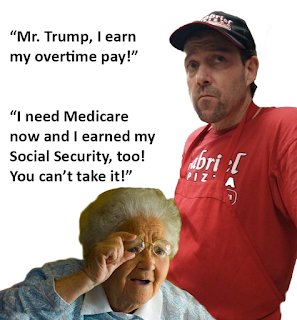 An American version could work identically, perhaps with a star or hologram or other mark to identify citizens as opposed to Medicare-eligible permanent residents, etc."